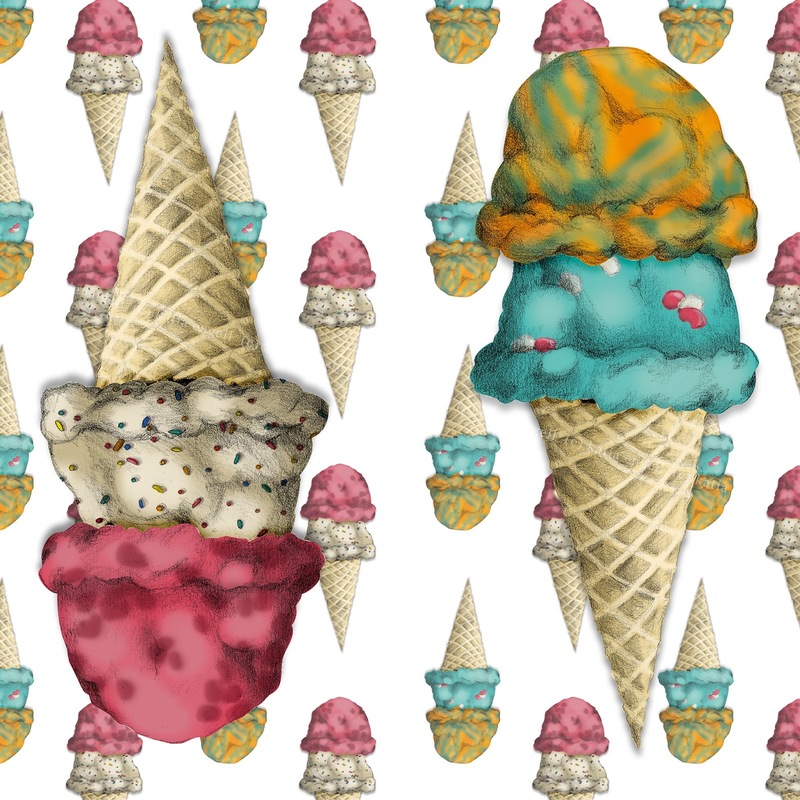 Some fun icecream patterning, made from bits of an assignment I had in Paris! Icecream always screams summer and beach days to me, so I felt revisiting it was perfect for the season! It's also available on some fun things on Society 6. Check it all out here! I really love it as a pillow, and the clock is pretty funky too! This is SO cute! 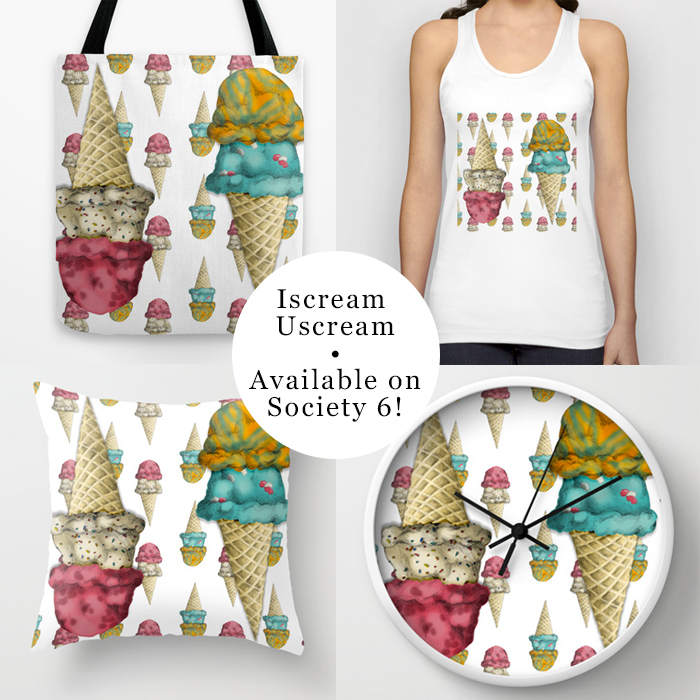 I really, really love this piece :) The ice cream is perfect for summer!